All Kinds of Deals with Vapor Puffs! Ever wonder if you’re not taking advantage of EVERYTHING a company has to offer? Don’t worry! We’ve got you covered! Well, at least when it comes to us. Below we’re going to go over everything we have to offer you as a customer. When we started our family run Vaporizer retailer we knew we wanted to offer all kinds of deals, who doesn’t love deals? Look below to find out just how to stretch that dollar as far as possible this holiday season! Joining our rewards program is the number one way to save cash hear at Vapor Puffs. Not only do we give you 500 VP Points, worth $5 in credit, just for making an account we also give you 8 VP Points for every dollar you spend! Yes, that even means you can make VP Points on purchases made with just VP Points! Wondering what the catch is? There really isn’t one, we just want to give you a little something as a thank you for your business. We won’t even send you all those junk emails you get from every other site! If you’re a customer here in the US you’ll automatically get FREE 1-3 Day Priority USPS shipping on every order, no matter the size. Bummed out you’re internation? Don’t be! Right now we are offering International Shipping to where ever you’re at for just $19.99! We’ve almost always have a special deal going for the season. Make sure to check our Facebook page to keep up to date on all the deals, you didn’t hear it from me but there miiighhhttt be a few opportunities for some serious savings coming up this holiday season. The Assurance That Comes with a Good Warranty! With a lot of sites you’re left high and dry if your purchase arrives damaged. We’ve got a great 6 month warranty that will cover any damage upon arrival or defective parts. Just knowing you won’t have to buy another unit for no good reason is a great saving in itself! Things are Changing Here at Vapor Puffs! 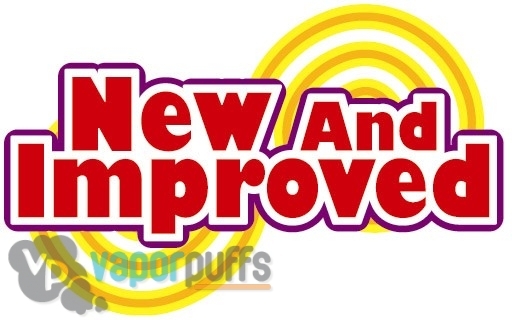 We’re very excited to announce a lot of new features and upcoming features for Vapor Puffs! We are always striving to offer our customer’s the best possible experience. The happier you are, the happier we are. We’ve listened to some great suggestions we’ve gotten from you and are now changing things up with how we do business. Below we’ll highlight three big, new, and exciting changes that we know you’ll love! Recently we have added a rewards program to all accounts site wide for free! To get in on the savings simply just make an account. Upon creating your account we’ll get you started with 500 VP Points worth $5 towards any purchase. We also will be giving 8% cash back with this program, for every dollar you spend you earn 8 VP Points. You even earn the full 8% back on purchases made using points! The more points you use; the more points you get! Starting on Thursday, July 31st, the price of international shipping is drop drop dropping like crazy! For just $8.99 we’ll ship any order to anywhere! No matter the size of the order or the location we’re shipping to the international price will not go up. The larger the order the crazier the deal! 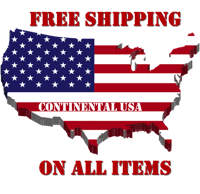 Don’t worry US citizens, domestic shipping will remain free as always. Recently, we started updating our Vapor Puffs Bl0g twice a week and the reaction we’ve gotten has been amazing! We love being able to help everyone out there an absolutely know just how hard finding information on vaporizers and electronic cigarettes can be. So we figured why not help out even more? Starting Monday, August 4th, we’ll be updating our Vapor Puffs Blog every single day! This means more information on how to use vaporizers, information on whats going on and coming up with our site, product reviews, and so much more! Please let us know if there is anything else you’d like to see from us in the future. Leave a comment or shoot us an email, we love hearing from you! Take Advantage of Everything We Offer Here at Vapor Puffs! Hey guys! We wanted to put together this blog post to create an easy place to find out everything you can take advantage of here at Vapor Puffs. We pride ourselves on offering all kinds of fun and useful things for our customers. In this blog post we’ll be going through all the different things you can do to get the most out of what we offer! Every day we have sales specialists and customer support standing by ready to answer any questions you have. We, too, had to start vaping at one point and know just how incredibly hard information is to find on vaporizers. No matter how big or small, feel free to email us about absolutely anything. We’re hear to help and always loving hearing from you! Make sure to keep up on our facebook posts to take advantage of all the fun contests we run! We give away free products and VP points all the time. Don’t forget to check consistently though, you never know when a deal, contest, or special promotion will be gone! Make an account to earn free products! We’ve just introduced our brand new VP Points Rewards Program! Just make an account to join. For creating your account we’ll give you a free 500 VP Points worth $5 in merchandise. After that we’ll give you 8 points for every dollar you spend on vaporpuffs.com, that’s 8% cash back! As if that’s not enough you can also earn 300 VP Points for every review you write on our products! There’s no reason to not collect points, who doesn’t like free stuff? Every week we put up two new posts on our blog. The blog is a great place to not only find out everything to know about Vapor Puffs but also to find out about the vaping community in general. We have posts on upcoming events, guides on different products, product reviews, and all kinds of other fun posts. Don’t see what you’re looking for? Email us a suggestion, we love hearing from you. Welcome to the new Vapor Puffs Blog! Hello there you Happy Pappy Vapor Puffs People! We know that in the past our blog has been far from the most active blog out there but thats about to change! The era of updating our blog every single friday of every single week! Why friday night? Well just because we have no lives of course! You folks go on out to your soirees, sock hops, and drive ins on friday night and our posts will be up for you to peruse the morning after. We’ll be making all sorts of blog posts, some serious, some fun, and some both! One thing we will definitely be doing is adding more informational posts about specific products. We’ve gotten a hugely positive reaction to our “Guide: How to Use the Ago G5 Vaporizer.” We love being able to bring more helpful in depth instructional posts to our customers. We absolutely understand how frustrating finding information on specific vaporizers can be. We also want to keep people up to date on the political side of vaporizers. We’ll be updating you on legislation, public opinion, and media buzz pertaining to vaping. And finally the fun part! We want our blog to be interactive. We want your feedback on what you want to see and want you folks to contribute. Did you do something super cool while vaping? Send us a pic! Are you interested in learning about a specific part of vaping? Request a blog post! Have another idea I didn’t just mention? That’s even better! Send us an email any time, we’d love to hear all of it!